Pick up a trail map and brochure at the Chamber Welcome Center or the John Wayne Birthplace Museum. The trail includes six stops in Earlham and Winterset. 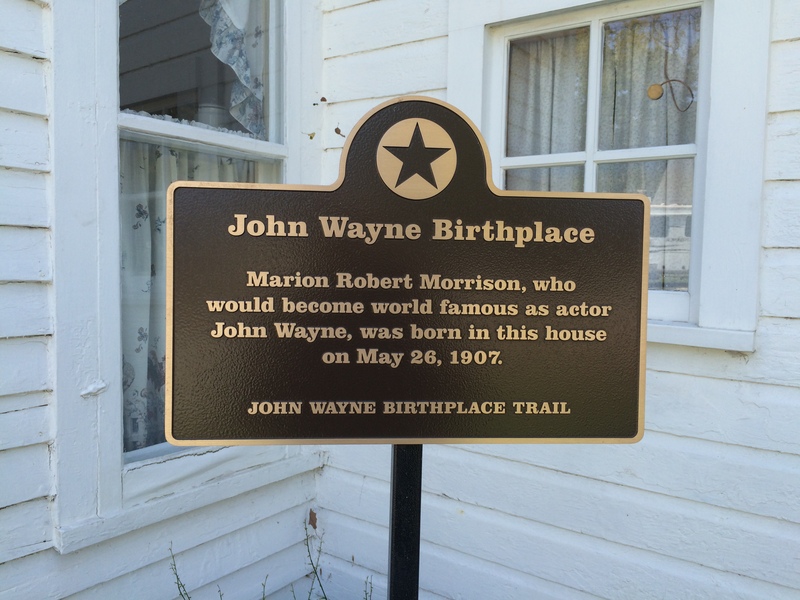 Starting at the birthplace home, the trail goes to the Winterset Train Depot, where the Morrisons began their travels that would eventually take them to California. The depot was restored in 1991. From there, go to the Village Bootery on the south side of the square, where the M.E. Smith Drugstore had its home. Wayne’s father, Clyde, worked there as a pharmacist. Eager to own his own drugstore, the Morrisons moved to the town of Earlham in 1910 and lived in a two-story home at Walnut Ave. and NW 2nd Street. While in that home, another son was born, Robert Emmett. That home is near the railroad tracks and the young Morrison frequently played in the railcars. It is now a private residence. Clyde Morrison purchased what was then the W.A. Pickford & R. W. Orris Rexall Drug and Jewelry Store for $7,110. Customer often saw the young Marion riding his broomstick horse around the store. 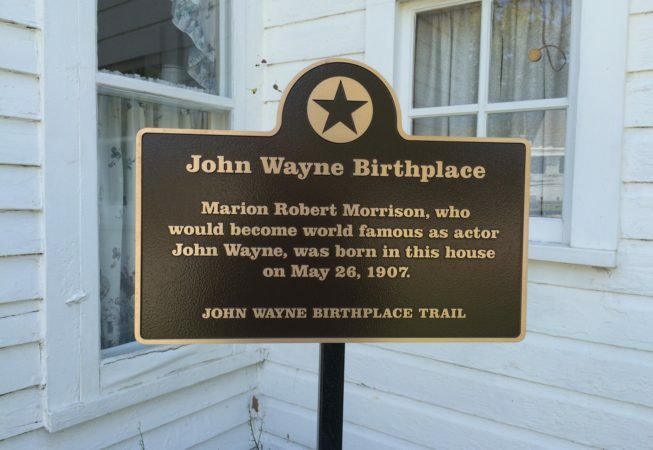 The tour also includes the new John Wayne Museum.